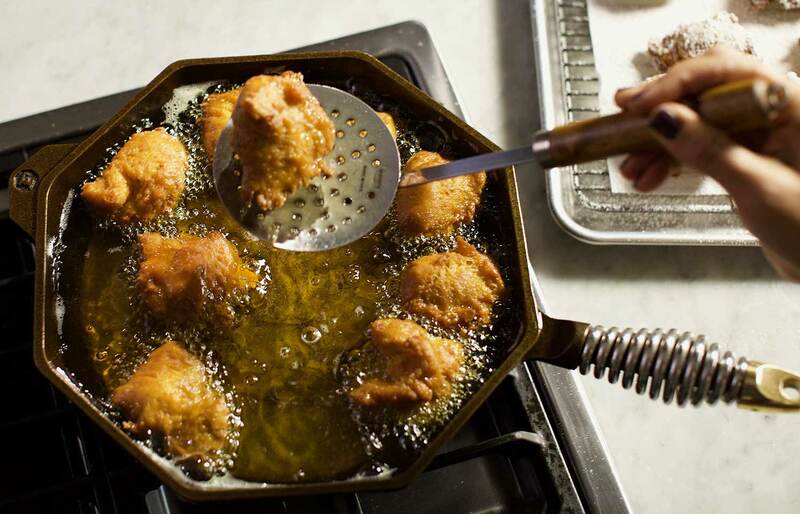 Pumpkin Spice Drop Donuts | FINEX Cast Iron Cookware Co. In a deep, heavy saucepan, heat the oil to 365 degrees. In a bowl combine the flour, brown sugar, baking powder, salt, cinnamon, and nutmeg. Stir to blend. In a small bowl, whisk the egg together with the pumpkin and milk. Stir in the melted butter and vanilla. Pour the pumpkin mixture into the dry ingredients and stir until blended. 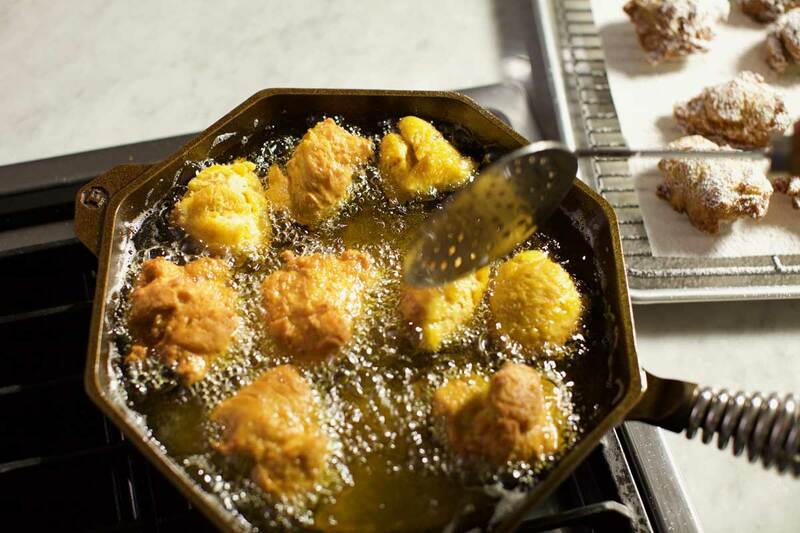 Drop the batter by teaspoonfuls into the hot oil. Fry about 5 or 6 donuts at a time – turning to brown both sides, for about 3 to 4 minutes. With a slotted spoon, transfer the donuts to paper towels to drain. Roll the pumpkin donuts in cinnamon sugar or dust with powdered sugar.